Have You Been To Kolkata's First Live Laundry? And Best Of All, It’s Eco-Friendly! DipnDry is Kolkata's first live laundry and dry cleaning store with counters to see how your clothes are sorted, cleaned and pressed. Ever lost your gorgeous suit, trousers or a pretty dress to bad dry cleaning? Regular dry cleaning involves perc (perchloroethylene), a harmful chemical that’s not only hazardous to our health (can cause asthma and different types of allergies), but also to the environment. 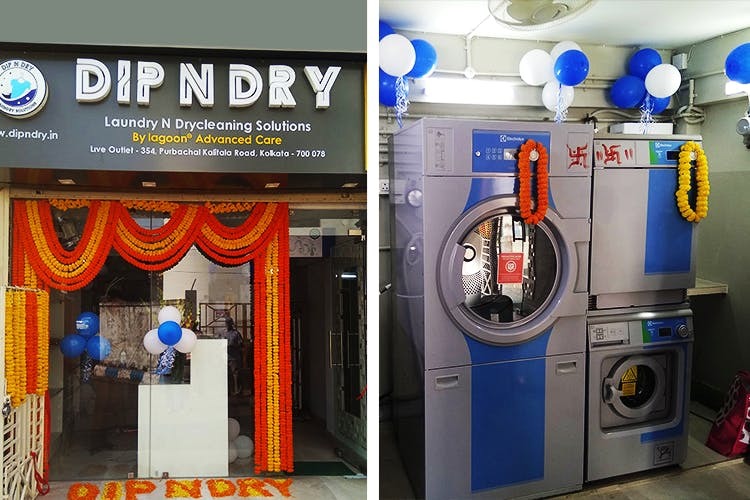 DipNdry claims to be Kolkata’s first perc-free wet dry cleaning outfit. And they use Lagoon technology (approved by Woolmark) that washes clothes with special liquid detergent. The services at DipnDry start at INR 30 (normal wash for a shirt) and can go up to INR 400 (Lagoon wash for jackets). Delivery is free up to 3 km, and extra charges will be included for one-day delivery as against their 48-72 hour schedule.